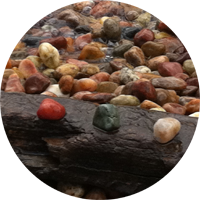 Finding balance, belonging, focus, and meaning in the digital age. Welcome to the world of the modern emerging adult (young adults roughly nineteen to thirty-three.) Some young adult rites of passage are timeless, like getting your first apartment, navigating the world of work, and finding love and community. Yet we live in an age of rapid change. The 21st century young adult is a pioneer of the digital age, in need of unique coping skills and unique mentoring. Mindfulness for Emerging Adults is a groundbreaking resource for Emerging Adults and their mentors, including teachers, employers, family members and health care professionals. An understanding of what is unique about modern emerging adulthood by comparing today’s journey with the timeless developmental milestones of young adulthood. A unique blend of developmental psychology, positive psychology and the new field of contemplative neuroscience. Exercises based on ancient wisdom traditions and like Buddhism and yoga made fresh and relevant for the emerging adult experience. Tools to help emerging adults explore values and find their own unique good life. Learn how master to daily rhythms, including diet, sleep, exercise, time in nature, and balanced use of technology. Learn how to manage emotions, how to feel safe and accepted by making healthy connections with friends, family, partners, and community. Learn how to foster positive brain activity, decreasing distractions, cultivate thoughtful action. Get clear about your heart’s deepest longings through values exploration. Get on the path to values-based work, love, and community connection. Throughout Mindfulness for Emerging Adults, readers will hear young adult voices through true stories of universal young adult struggles, like finding intimacy, a trustworthy community, managing finances, discovering a fruitful and worthwhile career path, managing uncertainty, and difficult emotions. 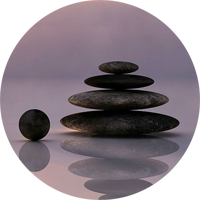 Throughout Mindfulness for Emerging Adults, family members, healthcare professionals and educators will find sections called Thoughts for mentors – highlighted segments designed to help mentors remember their own young adult journey and foster productive communication with emerging adults. Even in the best of circumstance, setbacks are a normal part of the human experience. Knowing how to ask for help is an important life-skill. In Mindfulness for Emerging Adults, mentors and young adults will find resources, both traditional and mindfulness-based to help bounce back from setbacks. We are living in a time of accelerated change and global competition. Isn’t it counterintuitive to ask emerging adults to slow down? In Mindfulness for Emerging Adults, you will find personal motivation to practice mindfulness. Whether your goal is communicating with your boss or feeling more personal peace, the Center Points exercises are for you. Learn how to get more done with less effort, and view the world, and yourself, with more kindness and compassion. Now more than ever, we need time-honored contemplative exercises to keep us grounded. I really love the voice, generally. I think this is a great strength of yours. Your writing voice is kind, wise, supportive, knowledgeable, and graceful. This book is a gift, Donna! Thank you for the opportunity to read it. 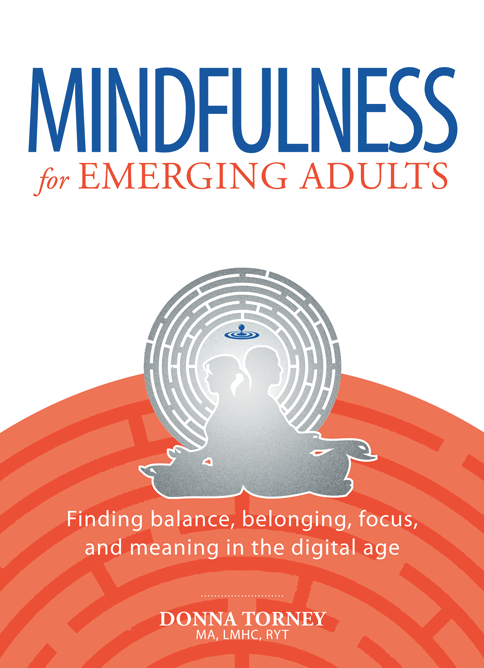 Mindfulness for Emerging Adults is a must read that will capture your attention! This engaging guide is concise yet comprehensive, with intriguing and immediately applicable exercises. 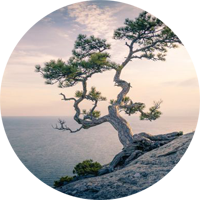 Donna Torney masterfully highlights how to weave the time-tested, powerful and evidence-based concepts of mindfulness into today’s rapidly changing, digitally oriented world. She successfully translates sophisticated scientific constructs and contemplative practices into understandable terms and relevant tactics. As a mother of 5 adolescents and an executive coach who is passionate about personal development, I am inspired after reading this book! I cannot wait to share this well crafted, much-needed resource highlighting best practices for developing a full and healthy life. My whole life I have struggled with anxiety, depression, and sometimes as a result of these two conditions, basic self-care. 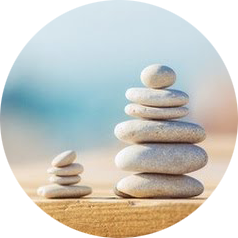 Donna’s Center Points Exercises for Balance have helped me reduce my anxiety and bring more balance, care, and most importantly, self-compassion into my life. The “Three-day rolling average system” in particular has allowed me to let go of the guilt I used to feel when I would miss a day of exercise, quality sleep, or healthy eating. These three basic components of self-care are what is focused on in the exercise, but through regular practice, one can easily expand the “Three-day rolling average system” to other aspects of their life. As a musician and a business owner, I have started to use this system to successfully manage my business work load, practice schedule, and personal activities. The rolling structure provides a feeling of organization and security without being too strict which frequently causes feelings of inadequacy. Mindfulness for Emerging Adults is a modern take on the personal struggles facing a tech-driven generation through their 20’s and 30’s. It addresses both traditional and new challenges; from independence and money to FOMO and technology. Donna combines the techniques of Eastern philosophies (yoga and Buddism) with the evidence of modern neuroscience, which proves that regular mindfulness practice can have a lasting effect on health. Using her experience as a therapist, Donna offers a buffet of tools and techniques that will satisfy any reader, regardless of motivational and learning style. I highly recommend this for any emerging adult, mentor, or loved one. I have incorporated many of these tools into my own life and also shared them with my peers and colleagues. They have proven to build contentment and wholesomeness while regaining control over anxiety and depression.